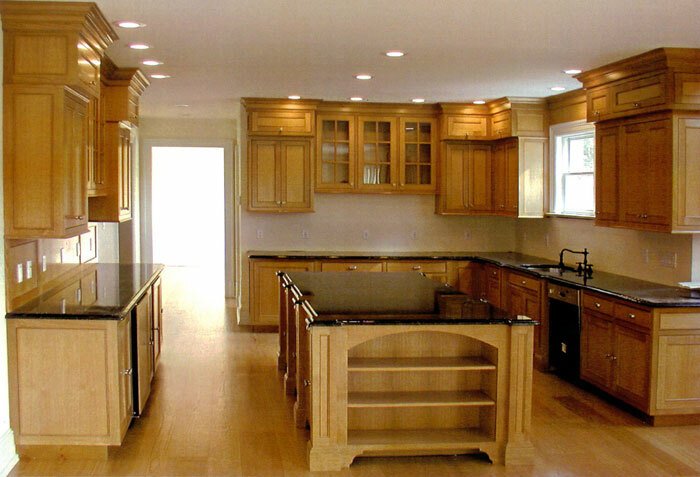 This country kitchen features quartered white oak cabinets, base and crown mouldings. The cabinets have recessed flat panel doors with a beaded inset detail. A clear lacquer finish shows off the beautiful color and figure of the quartered oak.